The environment as third teacher: There Is an underlying order and beauty in the design and organization of all the spaces that encourage encounters, communication and relationships (personal communication from Cheryl Breig-Allen 2007). So, I ask early childhood educators their thoughts to dig a little deeper. R: Encounter is a positive word. To break it down, encounter means an unexpected experience. The teachers aren’t teaching to a test. Instead they are letting the children explore their natural environment and encountering it. They are having unplanned experiences with their surroundings. The unexpected portion goes above and beyond with what the teacher could have provided. It is limitless! Yes, the unexpected or chance! Where “R” hovers most closely over my own interpretation is when she refers to going above and beyond, which I sense as going outside the bounds of the expected, into something new and unknown. Where teachers and children might struggle, and feel out of balance, in a place of disequilibrium where new insights and learning might be just around the corner. A: I was intrigued by the idea of the classroom being a place where children and teachers encounter learning experiences, but also where members of the school’s community encounter one another, the children, and the learning taking place … If I am honest, I think the word “encounter” stuck with me because, in this context, it registered as very bold and a bit subversive when I first read it. Probably, as “R” articulated, because it implies an element of the unexpected – and the exciting in a classroom. Where a variety of school and surrounding community members have been invited to take part. On an instinctive level, I think my childhood (and even parental) association of the classroom as a carefully controlled, protective, teacher-student only environment was challenged [by the word encounter]- and a more inviting possibility was offered. Subversive? Revolutionary? Rebellious? Confrontational? Sometimes the unexpected is just scary because it contains the unknown, which may be less so for a child who might experience the unknown as a risk or a challenge, something to investigate. 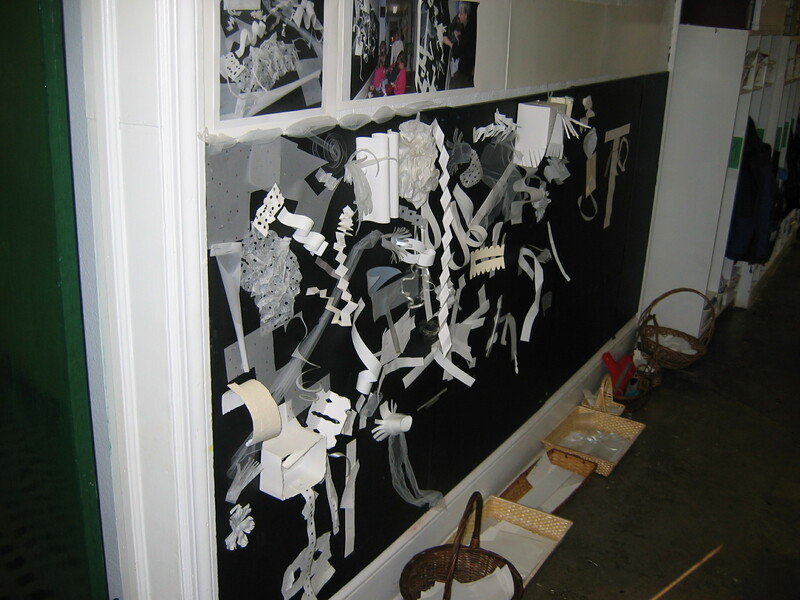 To set up environmental invitations, offerings to children, teachers must be able to stretch their minds – imagine their own encounter within the materials and the set up. Then reaching beyond this very personal experience, imagine the ways the children in their care approach materials. Revisit what children have they been thinking recently can serve as a guide to stage these materials. I LOVE this provocation. I am called to enter and engage. To look closely from where I sit and from the mirror beyond. 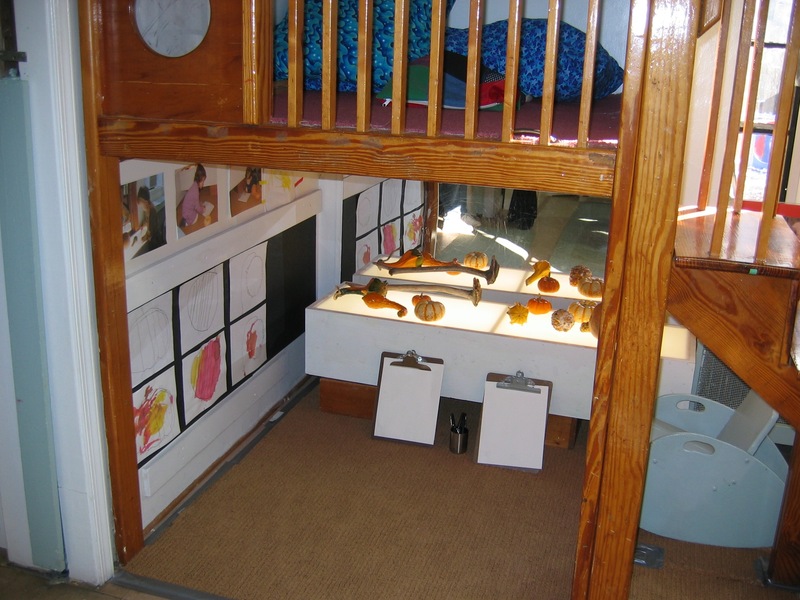 I would see and possibly touch the surfaces, wonder at the writing tools placed so carefully, notice how they were used by other children in the images beside me on the wall. This space is filled with interest. It contains the real work of children and representations of them in action that inspire me act, to follow the lead of my friends and draw, maybe even color my rendering of a gourd. I think this arrangement would catch the attention of children as an invitation to engage in many ways. Play with the materials you notice children exploring. Use the materials as they do, with a serious curiosity. 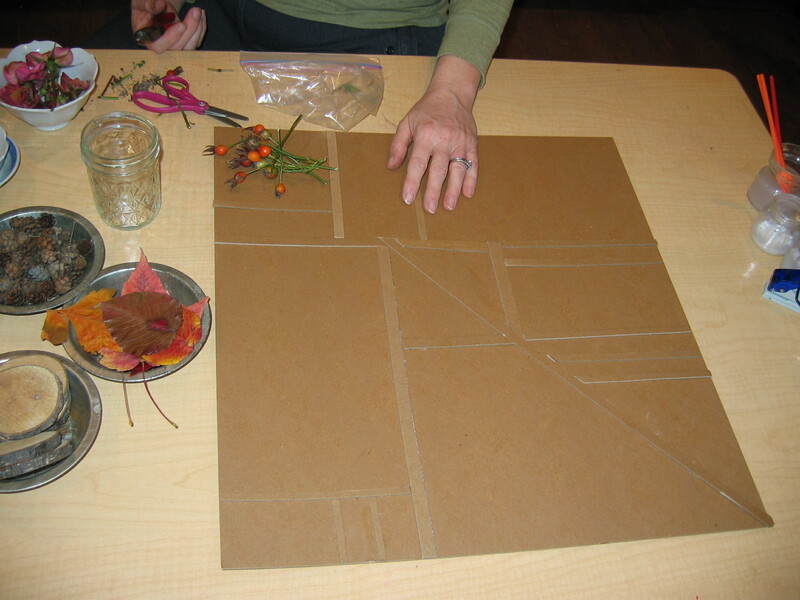 Use the materials in new ways, that you discover, and imagine how children might be invited to discover as you have, and then explore at least a few ways of setting up the materials to invite this new thinking. London, P. (1989). No more second hand art. Boston, Shambala Press. Thank you to Beverly Hills Church Preschool, Alexandria Virginia, and Sissy Walker, Dear friend and Director from 2006 when these photos were taken.